Just got the reissue Insecticons 3-pack from TRU over the weekend and only opened them last night. Joints are nice and tight, chrome is clean and shiny and I actually had to apply stickers this time! I figured they would be factory-applied like SDCC Soundwave. I'll post pics later of the trio, maybe with their 1984 releases too. Just picked a non flame torch with the black gloves to headswap with Reed. And also stumbled on the spiderwoman 2pk. On a side note, I can't find any ROC reactive suit scarlets anymore. Awesome. Just awesome. I've been wanting to get my hands on one of those and the Tactical Battle Platform for a while. Love the setup. Love the twin Helixs. Thanks, mate! I had a chance to get a Battle Platform at a recent convention, but it was really yellowed and was missing a bunch of pieces. And I think that Clutch is enjoying the Double Helix as well! Your Scarlett's also seem very assertive. And is Logan spying on them, or is he trying to get a better view of the Street Fighter match? Nice job on the display, all around. Makes me miss my old Joe vehicles too. "Scarlett's heart belongs to Snake-Eyes," donchano! Logan's enjoying his Canadian pride, as well as getting a good view of Vega's stage. Yup got him today and Cap with skrull. Also picked up an XMO Brown Suit wolvie for a Daken kitbash. Alls I need now for my Dark Avengers is a smaller star for Iron Patriot, and Hawkeye. For the Gigantic Battle Packs it seems all walmarts have em. But if they aren't on the shelves you have to ask. The sku for them is 70043498 if you want to call ahead and ask or want to ask in the store if you don't see them. But yay, only 4 more Armory slots left now! In St.Louis - I just picked up Red Hulk from Marvel Universe @Walmart (great package, no dents or tears) & WWE HORNSWOGGLE Ruthless Aggression 41 (in his green/orange outfit, decent package with top right bent slightly) @KMart. I am a "keep in box/package" collector, so I was pretty happy with my finds. Hornswoggle has been one of the HARDEST, if not THEE HARDEST to find.. and there is like 4 versions of him already released! 1 per case, and GONE as soon as they hit! Damn, dude, mad awesome, right there! Damn. Just...I mean, damn dude. Awesome! Last week, I got the red "Transformers movie" Scissorcar, the GI Joe Resolute Gung Ho vs Copperhead pack, and some parts for my Halloween costume. So I was at Sears today looking at their "up to 50% off" liquidation toys. Generally, they were older toys that didn't move and some had opened packages. Most sucked and/or weren't even CLOSE to 50% off. They even had a crappy quick-changing Sports-Coupe-to-Batmobile set from The Dark Knight and both figures were missing. They must've only dropped the price by $5. Open palm, insert face. The box looked like it had been Christmas-morning'd and the robot head had popped off, rattling around inside the box (you can see it in the first pic, in front of the rear wheel). The human figure looked like it had never been removed at all. Seemed to me like someone bought it, maybe transformed it once and managed to get it back into car mode, and returned it. There was no red liquidation price tag on it, so I brought it to a Customer Service desk and told them I found it at the 50% liquidation table. Since Sears charges $40 for HAs to begin with, I walked away with him for $20+tax. He's only missing the instructions (found them at Unicron.com, anyway) and a single missile. I was glad to find out that the car mode is large enough for StarCom figures! I used to try to fit StarCom space marines into my Alternators. They'd usually just end up in the passenger seat, if they fit at all. So anyway, I teamed up one of my StarCom guys with this Camaro, as for me, it's a generic suit of transforming battle armour and not a Transformer, and I really find the idea of an alien war machine having an organic person sit on its arm to control a weapon the robot could fire itself in the first place excessively stupid. My story is that the space marine pilots a mech and needs to go undercover, so he's paired up with an undercover cop and his mech is able to disguise itself as a civilian vehicle. It feels good to imagine again! The leg swap mod on HA Bumblebee is practically a requirement on purchase. I understand the issue with the HA humans, but the same argument could be applied to Targetmasters, which is one of the most popular gimmicks of G1. I just look at the HA series as a great way for us to get some great toys and fill the hole left by Alternators. The human interaction is just a bonus. In fact, I await the day one of our kitbashers takes HA Sam or Epps and makes either one into a Targetmaster. I agree, but at least the 'Masters had robotic armour to protect them. Too bad the damn seats on the arms are so hideous. They're nice neo Alternators (well, this one at least) but overpriced as smeg. $50 Canadian a pop? Fail. I sure hope the branch this out to other Generations. I'd love to see some IDW designs. Ratchet with Jimmy, Sunstreaker with Hunter (there's the Headmaster! ), Verity with... Ironhide (Ratchet remould)? Finally got Vision and Warpath today! Okay so I cheated and ordered them on ebay, but it was worth it. Love both figures. Plus the guy I ordered from has a sense of humor, and sent them in the SDCC destro box. Which now I'm keeping too lol. It feels great to finally have a somewhat complete X-Force and avengers already. 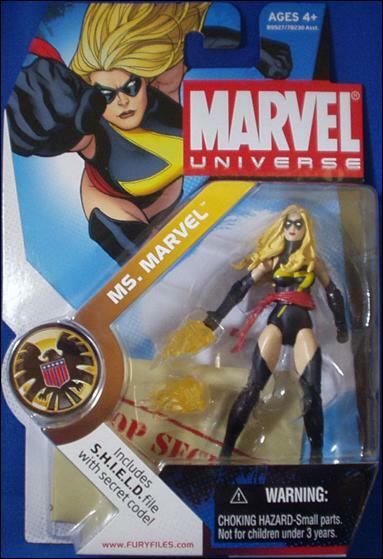 But come on hasbro, give us a Scarlet witch, X-23, Ultimates Wasp, and Archangel already. (I'll be grabbing modern thor, and Black Widow soon as their pre-orders go up.) I might pick up a second vision for his cape. So I can trim it down to be Black Panthers Cape. Last edited by Snowflakian; 11-05-2009 at 02:32 AM..
And Razerwire, I feel like going to grab a coffee just to spit it out all over my keyboard. Your pictures floored me! Still waiting on a 1/48 Roy which is taking forever. Nice! I'm really digging that female mould. Wouldn't mind if they made that their default female body. I need to get another of her for black cat. That is indeed one darn good mold. But I just wish they'd do some new arms with ROC scarlet like articulation, or at least an upper arm swivel. Star Saphire and OMAC came in the mail today. Thanks again AutobotGoldbug. Last edited by Razerwire; 11-07-2009 at 09:38 PM..
i just got a marvel legends black bolt.is it a little late to still find these?at the walmart i went to they had the whole series in the garden center.